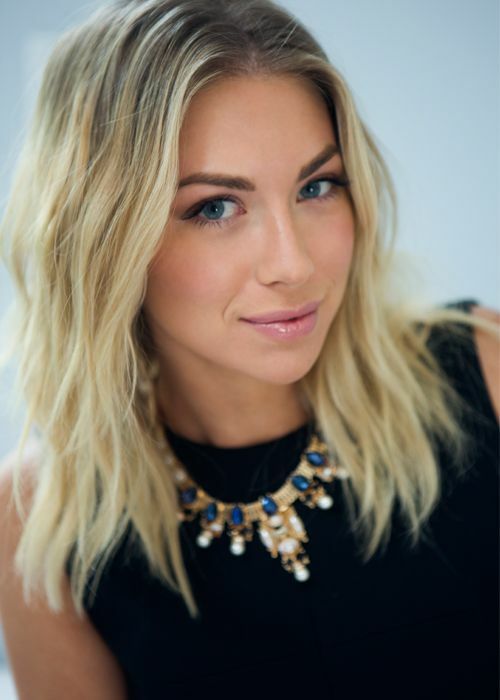 Stassi Schroeder is an American reality TV personality, model and fashion columnist, best known for her role as the Queen Bee waitress on the reality TV series Vanderpump Rules. She also known for her role in The Amazing Race. As a model, she has appeared in Italian Vanity Fair, 944, and Us Weekly. Stassi was born on June 24, 1988 as Nastassia Bianca Schroeder in New Orleans, Louisiana, USA. Her father, Mark Schroeder, is an architect and her mother, Dayna Schroeder, a jewelry designer (Georgi Jules Jewelry). She has two brothers named Hunter and Nikolai, and a sister named Georgianna. *She graduated from Loyola Marymount University in 2010 with a Bachelor’s Degree in English Writing. *She also studied three years at the New Orleans Center for the Creative Arts in the drama division. *She was president of the drama club her senior year of high school. *She placed seventh on ‘The Amazing Race’ in 2005. *She was voted “Most Talented” by her senior class in 2006. *She began taking theatre class at a local high school when she was 11. *Follow Stassi on Twitter and Instagram.